In the aftermath of recent events, consumer trust in marketing and brands in general is very low. According to a PwC survey (taken in September 2017) consumers have more trust in banks and insurance firms than they do in advertisers and marketers. This lack of trust must be addressed by the whole industry, and every agency, advertiser and marketer can play their part. We take a look at three ways that brands can halt the disappearance of consumer trust. To avoid having your brand appearing in inappropriate or unsafe places, brands can take their programmatic media buying in-house. Shift programmatic spend towards premium publishing partners through programmatic direct buys rather than real-time bidding, and favour private exchanges rather than open exchanges. It is also possible to whitelist sites that are good options for your brand, and to blacklist those that are not. Brands should more heavily use their own first-party data, rather than third-party data, as third-party has proven to be unreliable. First-party data does not rely on inferences, instead it builds a direct relationship between the brand and their consumers. Personalisation needs to add value to the customer experience, without ever becoming creepy or overwhelming to the consumer. Although this will mean different things to different brands and people, if brands focus on using data to delight the customer in the long-run, rather than to make a quick sale, it will more likely than not be the best approach. 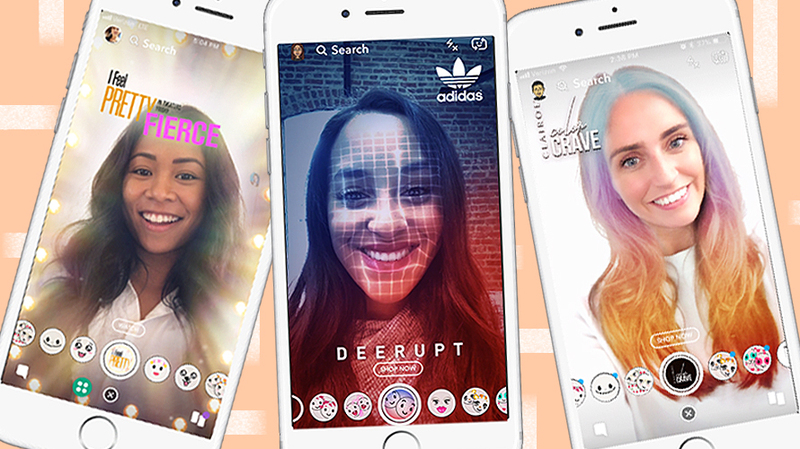 The design changes in the recent update for the Snapchat app for iOS devices will see Snaps and Chats arranged in chronological order, and friends’ stories displayed on the right side of the app – as they were before last year’s redesign. Although they have reversed some of their layout, Spiegel explained that they have kept the ‘structural’ changes that it made when they separated content from friends and that from creator content. The loss in revenue for Snapchat in Q1 2018 has been attributed to the now-revised redesign, which the company now believes to have been rectified. MediaiQ has recently rebranded as MiQ, and along with their new name comes a new focus – marketing intelligence. The move towards marketing intelligence is in response to the widespread knowledge gaps around data, insight and appropriate action despite businesses having access to more data than ever before. The aim for MiQ is to connect marketing to business outcomes by transforming messy data into the kind of well-structured data that can fuel insights and brand strategy. “Marketing Intelligence is a bit of a buzzword today so we are trying to explain what it is and how it can help you in your business. For example, one car hire business in the US used MiQ to help them to understand why 30% of bookings did not come to collect their rental cars. By applying filters to their data, MiQ discovered that this was the case because the car hire company did not require payment until collection – which in turn lead to actionable changes and a new strategy for the company. In the aftermath of Russia’s alleged meddling in the 2016 US election campaign, there has been much talk about geo-targeted ads. Both Trump and Clinton used geo-targeted ad campaigns, spending a combined total of $81 million, and whilst there are some issues that need to be addressed, the conclusion was that geo-targeted ads work. Brad Parscale, the Trump campaign’s Digital Director, said that Facebook ad targeting played a major role in getting Trump into the White House. “It was voters in the Rust Belt that cared about their roads being rebuilt, their highways, their bridges. They felt like the world was crumbling. So I started making ads that would show the bridge crumbling. Now local politicians are using the same strategies in order to make the most of their ad budget, and to target specific audiences with a specific message. Facebook is structured so that politicians can target people in four ways: geographic, demographic, interest-based and behavioural. These four categories can be taken individually or combined, in order to target specific voters at the right time. The presidential elections are watched carefully by local politicians, who borrow the best strategies and technologies to help their own parties – and geo-targeting is now most certainly a non-negotiable. For around a year, Facebook has been investigating how it could develop and use its own cryptocurrency, and last week, David Marcus, VP in charge of Messenger, announced that he will head up the team of 12 to continue the research. 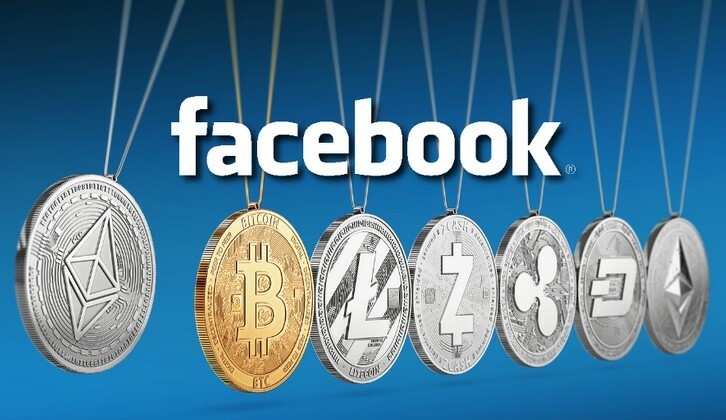 Some have said that Facebook is a little late to the table when it comes to cryptocurrencies, as most major companies are already investing and implementing some form of cryptocurrency. Google has developed a blockchain-based technology that will be used on its cloud business, and Rakuten is planning a cryptocurrency for its loyalty programme. Developing the cryptocurrency is part of Facebook’s strategy to become more transparent and aware of security/privacy issues.